"Your Expectations can have profound impacts on your brain and your health"
- Tor Wager, neuroscientist, Colombia University. Hypnosis can really help take the suffering out of peoples chronic pain. It is important to understand the difference between the 'painful signals' and actual suffering', and how the brain processes the signals, using emotions, beliefs and expectations - only then does it becomes an 'experience of pain'. In this weeks blog post I am going to discuss how this principle can be applied to taking the suffering out of the condition known as Fibromyalgia. Fibromyalgia is a medical condition characterized by chronic widespread pain, fatigue and sleep difficulties. It is classed as a disorder of pain processing due to abnormalities in how pain signals are processed in the central nervous system. 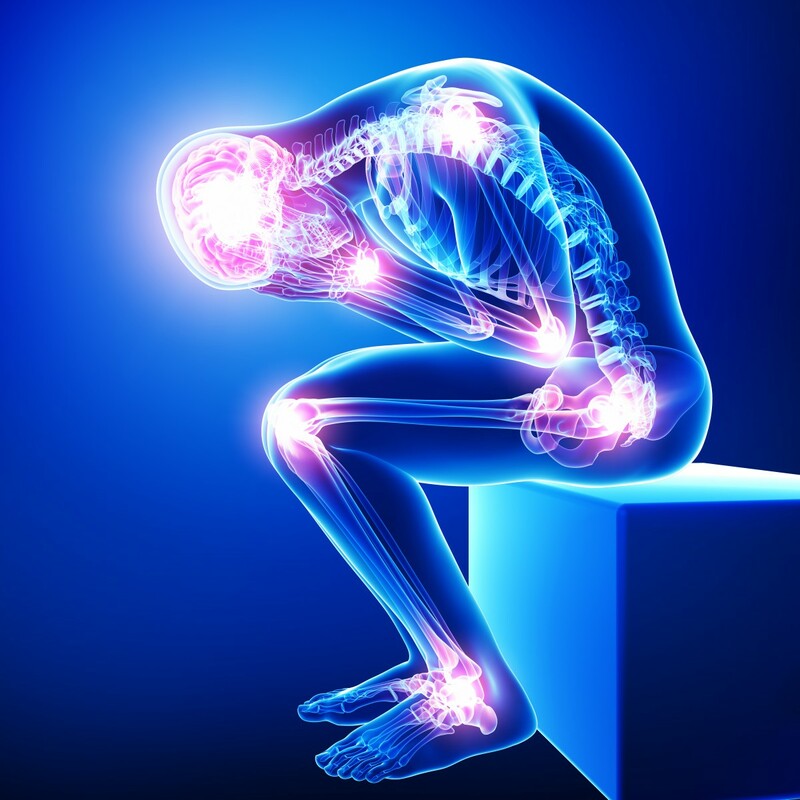 Fibromyalgia is estimated to affect 2% of the population. The term "fibromyalgia" derives from the Latin, fibro-, meaning "fibrous tissues", Greek myo-, "muscle", and Greek algos, "pain"; thus the term literally means "muscle and connective tissue pain".1 There are several theories as to what causes it but most experts agree that it results not from a single event but from a combination of many physical and emotional stressors. There is much scientific evidence that the complementary therapy of hypnosis can help reduce and even eliminate much of the suffering associated with Fibromyalgia. A recent study carried out at the University of Iowa studied what happens to the brain during hypnosis.2 Researchers monitored chronic sufferers of Fibromyalgia in a hypnotic trance. It showed that there was reduced activity in the pain network area of the brain particularly in the area of the brain responsible for ‘feeling’ pain. (1) Fibromyalgia is often triggered by stress or anxiety. In fact, Fibromyalgia is often associated with it. Stress is also an important precipitating factor in the development of Fibromyalgia. Simply put, stress amplifies the perception of pain. Therefore as we lessen stress we reduce pain perception. 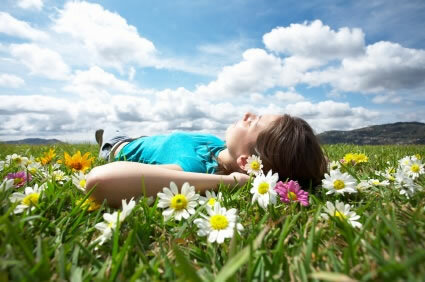 Hypnosis can help people relax so that they can experience comfort rather than pain. 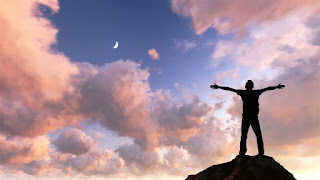 The visualisation techniques used in my hypnotic sessions can help to decrease symptoms of stress and anxiety, as the saying goes 'The body achieves what the mind believes". (3) I teach people hypnotic techniques to control their pain, showing them how to turn discomfort into comfort. 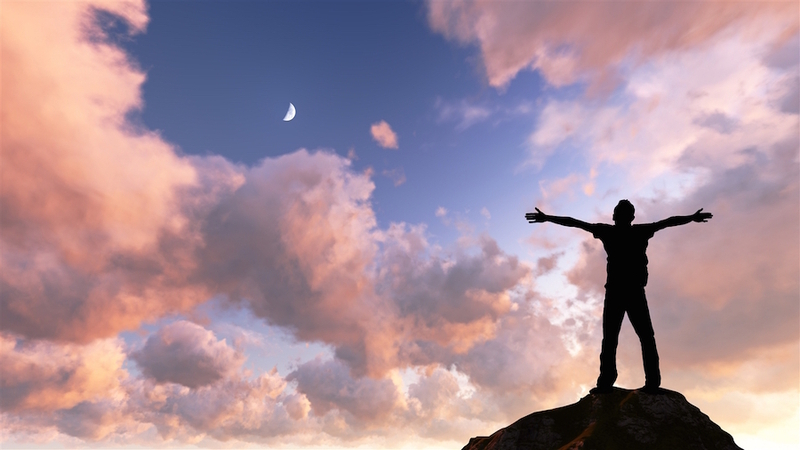 Self-hypnosis allows using the imagination to expel the pain and breathe in fresh, revitalizing, energizing air and can help people program themselves in many healthy and beneficial ways. I also teach some relaxation techniques which can be used to focus in on and control breathing and I teach mindfulness which helps people 'just let a thought be a thought or a feeling be a feeling' without attaching meaning to it, just being able to live in the moment and go with the flow. (4) Sleep deprivation/insomnia is another common result of Fibromyalgia. This can leave the person feeling continuously exhausted. Hypnosis can be used to improve sleep patterns so that the body has the time it requires rest and heal. The hypnotic state is a feeling between awakening and sleeping (e.g. daydreaming) in which the outside world seems to fade away, as the mind and body relaxes and focuses in the point of attention (to the hypnotists voice, to their own breathing, to the relaxation of their body, etc.). Once I facilitate this state for a person, it is something that I then teach them to do themselves, so they can obtain the sleep state easily once they leave my office. Hypnosis is not a cure all for Fibromyalgia. However it can help reduce the painful symptoms, by empowering the person to control of their thoughts and emotions. There are tremendous benefits to using some of the hypnotic methods outlined here such as autogenic training and self-hypnosis. All proven ways to take the suffering out of pain. Disclaimer: Please note that nothing on this blog is intended to hold out, state, indicate, or imply that Trevor Eivers is a physician, psychologist, doctor, surgeon or medical practitioner. Treatment with hypnosis is a complementary healing art service. It does not diagnose medical conditions, illnesses or diseases. Hypnosis is not a practice of medicine, psychology or psychiatry, and it is not in any way intended to be a replacement for diagnosis or treatment of any medical complaint or ailment. Earlier this week I spoke to my friend and fellow hypnotherapist Nicky Edwards about hypnosis and she had some very interesting things to say. Nicky is based in West Sussex in the UK. Hello Nicky, thanks for taking the time out to put hypnosis in the spotlight, first question, what do you like most about doing hypnotherapy? Hi Trevor, my favourite thing about hypnotherapy (can I really only have one?) it would have to be the opportunity I have to change people’s lives for the better. I really cannot put into words the pleasure and satisfaction I feel when my clients are able to put habits, behaviours or stressful situations behind them and start living their lives to their full potential. Empowering the ladies and gentlemen that I work with to take control and achieve goals they never thought possible is an amazingly satisfying experience and has me smiling 24/7. How would you explain/describe hypnosis if asked by someone who knew nothing about it? I always look at hypnosis as a tool that allows my clients to take control of their own minds. I simply facilitate the process, if they want to change then I am able to support the process but it is very much their mind control in action. Hypnosis in itself is a deep state of relaxation, but I think many people see the television programmes featuring stage hypnosis and think that I have the ability to mind control. I will add here that I do NOT. Hypnotherapy has been around for hundreds of years and is completely natural state of mind, it’s much like when you drift into a light nap in front of the TV but are still consciously aware that there is noise and movement – it’s just too much effort to open your eyes. What hypnotic areas do you specialize in? And can you give examples of your personal experience of how hypnosis has helped changed people’s lives? I specialise in weight loss hypnotherapy though the use of virtual gastric bands. This is a highly effective treatment where I combine hypnotherapy and NLP to allow my clients to take back control of their eating behaviours, break food cravings and regulate meal frequency and portion control. One of my lovely ladies lost 4 stone in 24 weeks and has now embraced a life of fitness and health and one of my gentlemen has lost an incredible 8 stone since Christmas. Last weekend I was very lucky to watch one of my ladies who lost 2 stone in her beautiful size 10 wedding dress (she has dropped three dress sizes in 4 months). What one piece of advice would you give to someone who is experiencing stress, worry and/or anxiety at the moment? Experiencing anxiety or stress is often very much underrated and many people do not recognise the huge impact that this has on people’s lives. My greatest piece of advice is to take time to learn and recognise triggers to their stress and anxiety to begin looking at new ways to manage these. Hypnotherapy is also an incredible tool for relaxation and stress management; I have many clients from a range of professions who use it as a tool to change their mindsets about their stress. What is your opinion of e-cigarettes as opposed to stop smoking using hypnosis? A really interesting question as it has been in the media in the UK today. Personally I think that every individual has different needs and whilst for some people e-cigarettes are a great way to manage smoking cessation for others hypnotherapy offers a beneficial approach, there is no one size fits all answer and which is best will depend on the individual. However there is great success in smoking cessation hypnotherapy so it should be considered along with the options when choosing to quit. I see you have had some remarkable results with your weight loss program. How do you do it? What's the secret? What’s my secret? I would say that it’s down to having amazing clients who are committed to change but they would say I was magic (running joke). I was very fortunate to train with Cressinghams College utilising highly effective and responsive techniques which has greatly benefited my treatments. I also lost 6 stone myself a few years ago, which spiralled my journey into becoming a hypnotherapist as I quickly identified that the barrier to weight loss is mindset and a reliance on diets which never work. I think a combined passion, training and clients attitude has greatly benefited my success. At the moment my success rate falls around 92-93% success for weight loss using hypnotherapy (that’s much higher than a weight loss group). Do you think that hypnotherapy is becoming more accepted by the mainstream? I think that society is becoming more and more aware of the benefits of hypnotherapy and that over time this will continue to grow. There is a lot of media attention being given to weight loss hypnotherapy and hypnobirthing in the news at the moment which is a great benefit to the industry. I also feel that people are becoming more interested in alternative therapies rather than using medication where possible. I know I get asked a lot about stage shows, for a lot of the general public this is where and how they form their perception of hypnosis which can lead to some fears regarding it. What’s your opinion of stage hypnosis? I think stage hypnosis can be an entertaining experience for people sat watching the TV but personally I feel that it gives the wrong impression of hypnotherapy. Stage hypnosis is in no way, shape or form like hypnotherapy. Stage hypnosis gives the impression that we are able to ‘mind control’ people and do things against their will. In reality this is not possible and my clients are always surprised by how in control they are and aware of what is happening. However I would say that it is really important to choose a hypnotherapist who is qualified, registered and insured to ensure that you get the best service and treatment. Do you use hypnotic techniques in your own life and if so how did you make them work for you? I use some self-hypnosis and when I am very busy I utilise sleep apps. However I generally find that I am so relaxed after a day in the office I don’t feel a great need. Like all hypnosis the best results come from personalised sessions so I would recommend having personalised hypnotherapy audios to get greater results. If I never had hypnosis done before, what are the most important requirements regarding my attitude before I come to see you? I think being open minded is the most important aspect and also a willingness to be honest about the problem you are experiencing and want to resolve. It is incredibly important to me as a therapist that my clients are ready to change. Sometimes we have to break down their problem or barrier into little pieces so they can let go of it in small manageable pieces, others just want to change overnight. It is a very personal treatment and therefore the more information you share with your hypnotherapist the more effective your treatment can be. I find that many of my new clients are still a little skeptical, and I think this is completely natural. However as long as you believe that it can work for you and build a good trusting relationship with your hypnotherapist you could greatly benefit from this amazing therapy. I know you do NLP as well, what is that exactly (for people who don't know) and how does it fit with your hypnotherapy? NLP stands for Neuro Linguistic Programming and I tend to look at is as hypnosis for the conscious mind. It is a fantastic way of changing thought patterns about specific things e.g. food cravings and combined with hypnosis allows extremely fast and effective results when used correctly. For example I have had clients quit eating chocolate in as little as 90 minutes! The results are astounding. NLP works on the principles of word combinations and techniques so if you love linguistics you’ll love learning about it. I used to use it when I was teaching to encourage students to learn – so you can use it when awake or under hypnosis. What do you see the future holding for you and the practice of hypnosis? For me the future holds the development of hypnobirthing classes for my antenatal mums to be which is an incredibly exciting stage for my practice. I am also now offering specialised treatments for eating disorders which are a very personal goal as there is very little support and treatment options available. I find that my practice develops on the demands of clients and my personal passions. For hypnotherapy I think we will see a continued growth in the industry and more and more people seek ways to manage their mindsets and create positive changes. 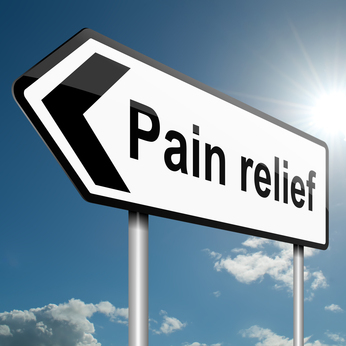 Pain results in much suffering in adults and can cause depression and poor quality of life. The stats show that in the United States alone 100 million people suffer from some kind of Chronic Pain. But did you know that hypnosis can really help, with all sorts of painful conditions such as back pain and arthritis? 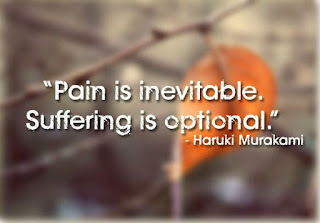 Let’s talk a little bit about understanding 'pain'. What travels through the nerves when you get an injury, is not pain, it is 'activity in the nerves'. It is only when it gets to the brain, and the brain processes it, using emotions, beliefs and expectations, that it becomes an 'experience of pain'. It is important to recognise the difference between the 'painful signals' and the 'actual suffering'. For example stress and anxiety almost always intensify the power of any pain experience. Hypnosis can help a people relax so that they can experience comfort rather than pain and helps manage the fear and anxiety people feel related to pain. It also relaxes the nervous system, so it’s not as reactive to the pain, as well as redirecting your attention away from the sensation of pain. People have actually gone through fairly serious operations using hypnotherapy and not requiring any general and/or local anesthetic. This is an example of how powerful hypnosis is. Hypnosis is one of the most effective interventions for the reduction of pain and suffering. In recent years, it has become an increasingly more acceptable therapeutic intervention. Many studies (Ashton et al., 1997; Cadranel et al., 1994; Chaves & Dworkin, 1997; Hrezo, 1998; Lang, Joyce, Spiegel, Hamilton, & Lee, 1996; Marchioro et al., 2000; Patterson & Jensen, 2003; Van der Does, Van Dyck, & Spijker, 1988) have demonstrated that hypnosis in persons who experience pain or stress can reduce the need for pain medications. Remember all hypnosis is self hypnosis, it is very safe and you will only accept suggestions you want to accept regardless of the depth of hypnosis.